The Solar Storm 32R offers you the ultimate in indoor tanning. 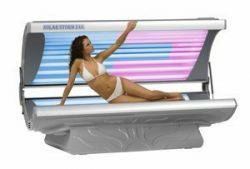 With 32 high-output lamps, efficient engineering, and the largest tanning surface on the market, this tanning bed will give tanners the even, golden tan they are longing for while minimizing exposure time. 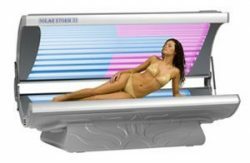 All of our Solar Storm tanning beds have been engineered for durability, high performance, and comfort and comes with the longest extended warranty in the tanning industry. 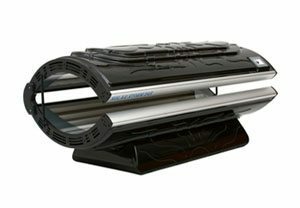 Tunnel design is engineered to completely surround tanners for fast all-over tanning results. 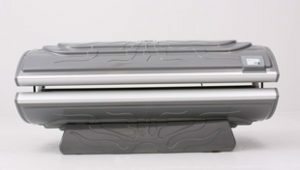 Durable aluminum frame ensures hassle free maintenance and longevity. 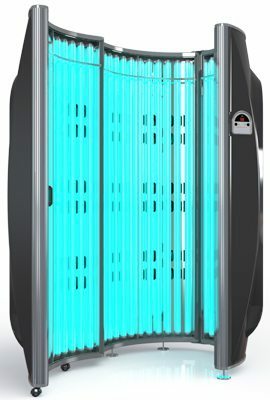 32 100W lamps provide even, highly efficient exposure for a darker tan in less time. 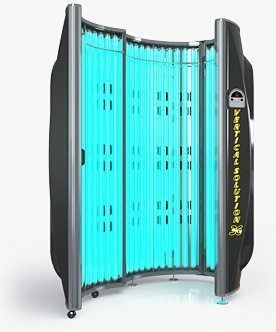 High-glossed aluminum reflectors give tanning power a boost while maintaining efficiency. 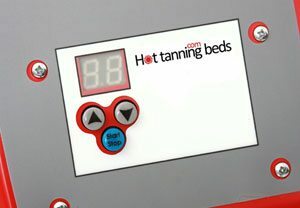 High-performance acrylic sheets are engineered for a faster, darker tan by providing the maximum amount of UV light. Delivered 98% preassembled for the quickest, easiest assembly possible. 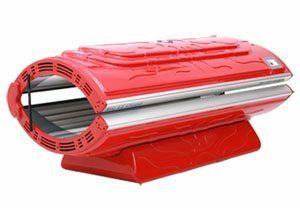 3-year powertrain extended warranty (longest in the tanning industry) on electric components ensures a long, hassle free life. Maximum exposure time of 15 minutes. 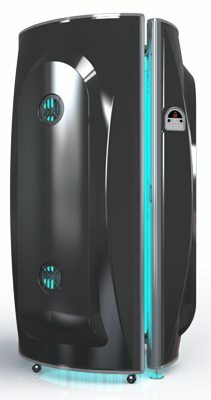 Available on EVERY Solar Storm bed for $199.